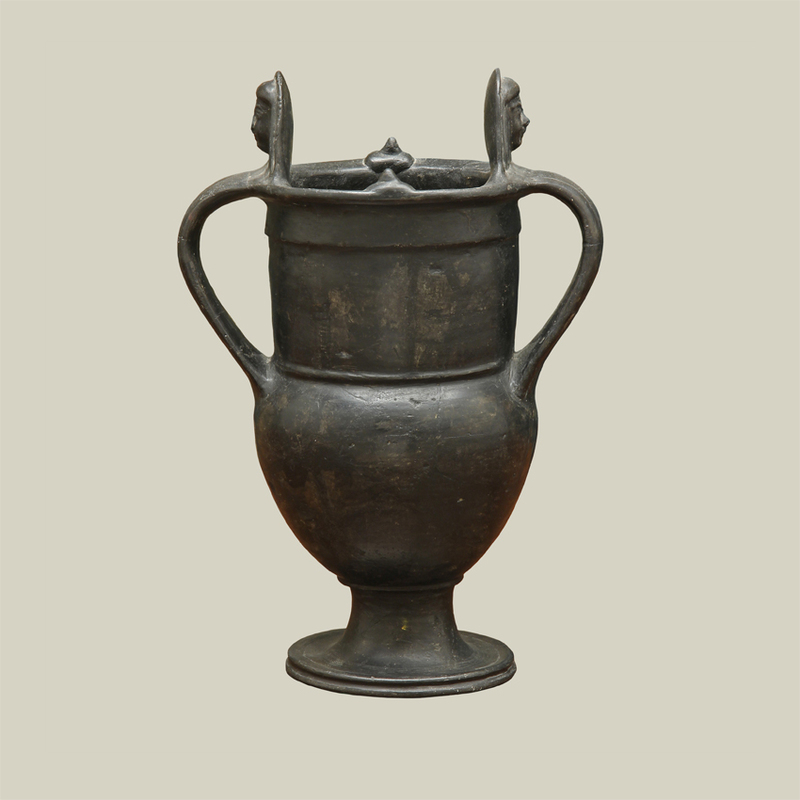 ETRUSCAN BUCCHERO AMPHORA; with an ovoid body and wide cylindrical neck, the torus foot with tapering stem, the strap handles joined to the disk rim, surmounted by projecting finials with molded female masks, knobs on the rim between. Circa 550 – 500 B.C. Provenance: with Spink & Son, London.